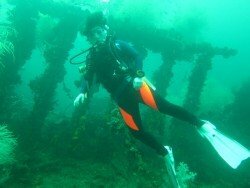 Usukan Bay offers a quality wreck diving experience. The bay comprises of 3 World War II Japanese wrecks which were all sunk on the same day in October 14th, 1944. These wrecks brought about 3 awesome wreck dive spots, namely the “Usukan Wreck”, “The Rice-Bowl Wreck” and the “Upside-down Wreck”. The Upside-down Wreck lies very close to the Rice Bowl wreck and is the largest of the three. It is believed to be close to 250 m/820 ft long and the size of it will astonish you. The name says it all, lying on an upside-down position, it is covered with a belt of coral, daisy coral,and an variety of sponges as well as colorful soft coral. At is its shallowest, it stands at 25 m/82 ft while its deepest is at 42 m/137.8 ft and is home to stunning marine life. 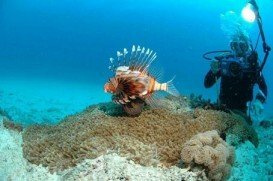 Marine life expected here include the lion-fish, rainbow runners, glass-fish and banded coral shrimps just to mention a few. 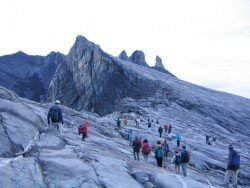 Come and climb Borneo’s highest peak. Mount Kinabalu towers 4,095 metres above sea level and offers a unique climb from the tropical jungle at the base, through oak forest, to the rocky sub-alpine summit plateau. This 2-Day, 1-Night adventure will have you starting in Kota Kinabalu before transferring to Kinabalu park in Crocker ranges to begin your climb. A whole range of exotic plants, insects and animals can be found in the different climates along the slopes of Mt Kinabalu, turning your journey up the mountain into a journey through nature. After a night’s rest at Laban Rata Rest-house (half way up the mountain) you will begin an early morning ascent to Low’s peak, 4095.20 m in time for a breathtaking sunrise! 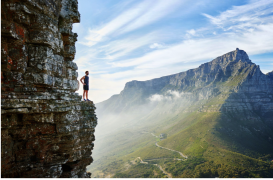 The arrival of daylight reveals the remarkable summit plateau of the mountain, a vast expanse of smooth rock with a unusual assortment of rocky pinnacles rising from below. It’s truly a unique and awe-inspiring experience! The Kiulu River is a great river for people of all skill levels to enjoy. 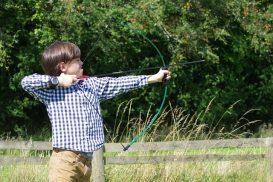 A great scenic day out for beginners and the more adventurous travelers of all ages. This trip covers up to 15 km of the river, making it the longest white water rafting trip in Borneo! The fun filled journey down the river will take about 1 ½ – 2 hours before reaching the ending point where a delicious lunch will be prepared by the riverbank. Includes: Return transfers from KK hotel, professional tour/rafting guides, buffet lunch, drinking water and refreshments. Age limit : for child is 4 years old and above. 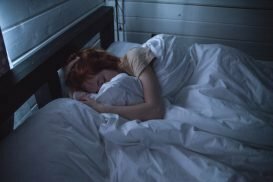 Departs in the morning and afternoon. The Padas river is Sabah’s premium rafting destination for those looking for an exciting, adventure filled day out! Located in the interior southwest of Sabah and only accessible by train, this trip will offer you not only an unforgettable day of rafting but also the chance to enjoy the beautiful views from the back of Borneo’s oldest train! Departing early morning (around 05:20) from your hotel in Kota Kinabalu, you will head south towards Beaufort to board the vintage train that will take you to the starting point of the river. 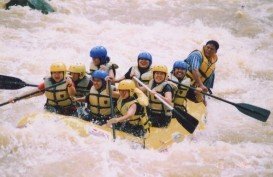 After your scenic journey to the starting point and a safety briefing by the professional rafting guides you can begin the thrilling trip through 7 major rapids down stream. There will be time to freshen up and enjoy a buffet lunch before heading back by train and bus to your hotel in KK. Includes : Return transfers from KK hotel, professional tour/rafting guides, buffet lunch, drinking water and refreshments. Age limit : 12 years old and above. Hands down the best place to see real wildlife in Borneo! Due to the population density of the animals on this stretch of the river you can expect to see just about ANYTHING (Orangutans, Proboscis monkeys, Pygmy elephants, Silver leaf monkeys, Crocodiles, amazing birdlife and so much more). This 3 day 2 night trip will give you the true Kinabatangan experience with early morning and afternoon river cruises, trekking, night walks and guides with eyes trained for spotting all the things you might otherwise miss. With accommodation options ranging from dorms to private A/C rooms we can accommodate all budgets. 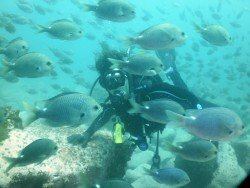 If you’re a certified diver looking for some chilled out leisure diving then the scuba diving day trip to Tunku Abdul Rahman Marine Park is a great choice. 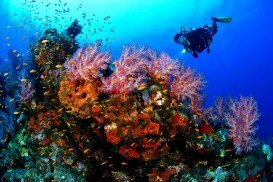 Enjoy diving in warm waters along a range of pretty coral reefs (with depth ranging from 5m – 25m). We visit ~ 25 coral reef dive sites within the Marine Park itself. Sabah is located within The Coral Triangle which means you will come across a wide range of marine life during your dives – from the smallest critters, a range of colorful coral reef fish species through to Green and Hawksbill Turtles. 8:50am: Meet the Team at the ‘Red British Phone Boxes’ at Jesselton Point Jetty. Once collected, you will be transferred to the morning dive site. Our Dive Crew will provide you with a boat safety briefing and overview of the planned itinerary for the day. 9.30am – 10:00am: Our PADI Instructor will then provide a full dive briefing for your first dive. Yourself and your dive buddy will do your buddy checks before starting your first dive of the day. Enjoy a nice, long relaxing dive (dive length is maximum 60 minutes, or minimum 50 bar). 12.00pm: Head back to the boat and go for lunch at a café on a nearby island. 1.30pm: Return to the dive boat. Your Dive Guide will provide a briefing for your second dive. Get your dive gear ready and go diving along a shallow coral reef. The diving adventure continues! 2:30pm: After you afternoon dive you will head back to Jesselton Point Jetty. You will arrive back typically 3:00pm – 3:30pm. Diver certification card, log book, swim wear, sun block, sunglasses, change of clothes, towel. Return boat transfers, free use of our rental dive gear, guiding by experienced PADI Instructors, small groups per Dive Guide, lunch, refreshments on our boat, Jesselton Point Jetty fee. Sabah Parks Diving Permits (13$ for non-Malaysians, 5$ for Malaysians). You need to be a certified diver to join this trip (we will need to see your diver certification card). Fancy some snorkeling adventure during your holiday? Then join a PADI Discover Snorkeling Experience and explore the tropical waters of nearby Tunku Abdul Rahman Marine Park. You will join guided snorkeling tours with a PADI Instructor – from the beach or from our boat (depending on sea state and swimming ability). 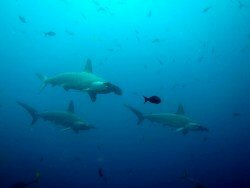 This is a wonderful trip for non-divers wanting a day out to the local marine park located some 20 minutes boat ride from the city. 8:50am: Meet the Team at the Red Public Telephone Booth at Jesselton Point Jetty. Once collected, you will be transferred to the morning snorkeling site. Our Dive Crew will provide you with a boat safety briefing and overview of the planned itinerary for the day. 9:30am: Your snorkeling adventure starts! 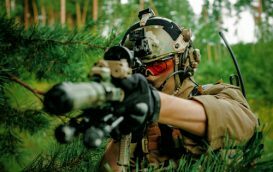 First of all you will have a short briefing. Once you are ready, the wet stuff begins with you will start your morning snorkel tour. *You can choose to have an optional snorkeling or skin diving skill session. 12.00pm: Head back to the boat and go for lunch at a café on a nearby island. 1.30pm: Return to the boat. 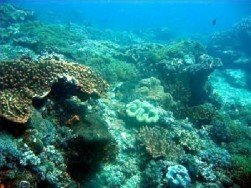 You will join your second snorkel tour along a shallow coral reef. 3.00pm – 3:30pm: Estimated return time to Jesselton Point Jetty. Swim wear, sun block, sunglasses, dry clothes, towel. Underwater cameras available for rent. Return boat transfers, free use of rental snorkel gear, snorkeling activities, guiding by a PADI Instructor, small groups per Instructor, lunch, refreshments on boat, Jesselton Point Jetty fee. 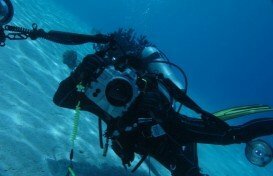 Underwater cameras available for rental (37$ per camera with housing, per trip). There are no pre-requisites for the snorkeling day trip. However, for you to get the most from this experience you should have basic swimming skills and be comfortable in the sea in water too deep to stand up in. Any participant under 18 years is supervised by a parent or guardian at all times. Are you a PADI Open Water Diver wanting to progress your continued diver education in the tropical waters near Kota Kinabalu, Sabah? Then choose the PADI Advanced Open Water (AOW) Diver course and become a PADI AOW Diver with Borneo Dream. 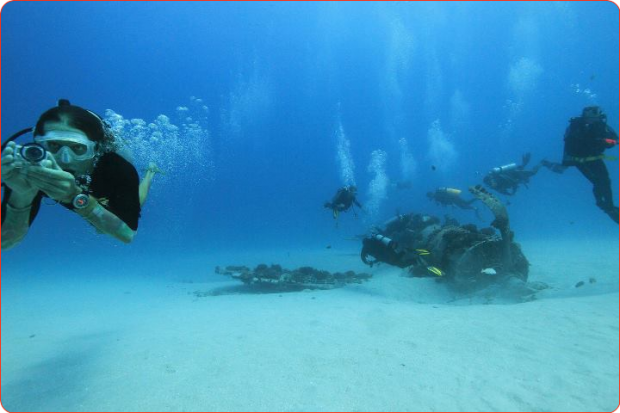 An exciting, highly personalized and fun way to improve your scuba diving knowledge and skills! Day 1 – 2: You will follow a similar itinerary for the 2 days of your course during which you will complete the 5 PADI specialty dives. 8:50am: Meet the Team at the ‘Red British Phone Boxes’ at Jesselton Point Jetty. You will be escorted to the boat. 9:00am: Our boat departs the Jetty and you will be transferred to the morning dive site. Your Instructor will provide a briefing for the morning session. You will set up your own dive gear and go diving! 12.00pm: Head back to the boat and break for lunch at a local café on a nearby island. 1.30pm: Return to our dive boat. Your PADI Instructor will provide a briefing for your afternoon course dive. Get your dive gear ready and go diving along the coral reef. 2:30pm: After your afternoon dive you will remove your dive gear and rinse it in fresh water. You will then head back to Jesselton Point Jetty. You will arrive back around 3:00pm – 3:30pm. Boat transfers, use of our dive gear, diving activities, lunch, PADI manual & certification, Jesselton Point Jetty fee. 15 years or older, be in good health to go scuba diving, a certified PADI Open Water Diver (or equivalent). You need to have minimum 18 hours free after diving before flying on a plane. Fancy learning to dive in the tropical waters near Kota Kinabalu? 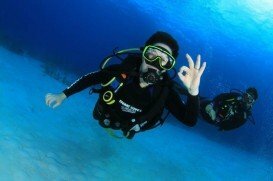 Then choose the PADI Open Water Diver Course. This is a 3.5 day course and, upon successful completion, certifies you to dive to 18m with a Buddy. 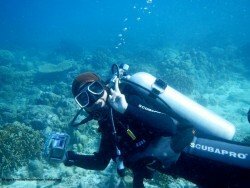 The course takes place in sheltered bays and along pretty coral reefs in Tunku Abdul Rahman Marine Park, home to wide variety of beautiful, tropical marine life. Day 1: Come by the office from 9:30am – 2:00pm to complete your pre-study session. The office is located at G27, Wisma Sabah in central Kota Kinabalu. Days 2 – 4: You will follow a similar itinerary for the 3 days of your course during which you will complete the 5 confined skills sessions, 4 open water dives, swim and float test. 8:50am: Meet the Team at the ‘Red British Phone Boxes’ at Jesselton Point Jetty. Once collected, you will be transferred to the morning dive site. Your Instructor will provide a briefing for the morning session. You will set up your own dive gear and go diving! 1.30pm: Return to our dive boat. Your PADI Instructor will provide a briefing for your afternoon course dive. Get your dive gear ready and go diving along a shallow coral reef. 10 years or older, comfortable in the sea, have good swimming skills and be in good health to go scuba diving. You need to have minimum 18 hours free after diving before flying on a plane. Fancy some underwater adventure during your holiday to Kota Kinabalu, Sabah? Then join a PADI Discover Scuba Diving Experience and see some of the wonderful below water scenery that Sabah has to offer. The PADI Discover Scuba Diving Experience is a try dive for non-divers. Go scuba diving and see some amazing marine life during your two dives around islands in Tunku Abdul Rahman Marine Park. 9.30am – 10:00am: Your diving adventure starts! First of all you will have a short education session. Once completed, you will be provided with an overview of your dive gear. Once you are ready, the wet stuff begins with your confined skill session from the beach. You will then enjoy your first dive of the day from the beach (to maximum 12m). 12.00pm: Head back to the boat and go for lunch at a café on a nearby island. 1.30pm: Return to the dive boat. Your PADI Instructor will provide a briefing for your second ocean dive. Get your dive gear ready and go diving along a shallow coral reef. 2:30pm: After your afternoon dive you will head back to Jesselton Point Jetty. You will arrive back around 3:00pm – 3:30pm. You need to be 10 years or older, comfortable in the sea in water to deep to stand up in, able to swim and be in good health to go scuba diving. Please note that you also need to have minimum 18 hours free after diving before flying on a plane. Located at 10 km/6 mi in the south of Diani Beach and 50 km/31 mi from Mombasa town, Chale island is romantically isolated, lying at 600 m/1968 ft from the main land. Shanzu Beach is located at the Northern coast of Mombasa. Its beach lies along the shimmering waters of the Mombasa marine park along Shanzu beach, at 30 km/18 mi from Mombasa town. The spot beach is environmental friendly and has moorings installed for any anchoring damage. Isla Mugeres is an amazing island in the Caribbean Sea. It is located approximately 13 km / 8 mi off the Yucatan Peninsula. 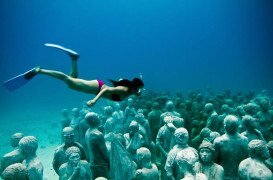 The island is 7 km / 4 mi long, 650 m / 2130 ft wide and it is part of the Isla Mujeres Municipality in the state of Quintana Roo, Mexico. Famous due to its proximity with tropical islands, lush forests and Mount Kinabalu, Kota Kinabalu is the capital of the state of Sabah located in Borneo. It is located on the west coast of Sabah within the West coast Division. Formerly known as Jesselton, it enjoys a tropical rainforest climate and lies by the coast, overlooking at the South China Sea and bordered by the Crocker range which is home to Mount Kinabalu. Pulau Tiga is located at 48 km/30 mi in the south of Kota Kinabalu and became well known due to the "Survivor" series, hosting the setting of "Survivor Borneo", the first American season of the show. Scuba diving in Pulau Tiga is open to all levels of divers and is a prime location for macro lovers and underwater photography. The spot is believed to have been formed by the eruption of several mud volcanoes and is at 100 m/328 ft above sea level. Pulau Tiga is located at 48 km/29.9 mi in the south of Kota Kinabalu and became well known due to the "Survivor" series, hosting the setting of "Survivor Borneo", the first American season of the show. Scuba diving in Pulau Tiga is open to all levels of divers and is a prime location for macro lovers and underwater photography. The spot is believed to have been formed by the eruption of several mud volcanoes and is at 100 m/328 ft above sea level. Famous due to its proximity with tropical islands, lush forests and Mount Kinabalu, Kota Kinabalu is the capital of the state of Sabah located in Borneo. It is located on the west coast of Sabah within the West coast Division. Formerly known as Jesselton, it enjoys a tropical rainforest climate and lies by the coast, overlooking the South China Sea and bordered by the Crocker range which is home to Mount Kinabalu. Famous for its proximity with tropical islands, lush forests and Mount Kinabalu, Kota Kinabalu is the capital of the state of Sabah located in Borneo. It is located on the west coast of Sabah within the West coast Division. Formerly known as Jesselton, it enjoys a tropical rainforest climate and lies by the coast, overlooking at the South China Sea and bordered by the Crocker range which is home to Mount Kinabalu.